The installation by Joë Vegt is based on the Greek myth of Theseus and the labyrinth of Knossos. Theseus, was trying to find his way through the maze but never returned, the string of wool wich he left to find his way back with is still there and can be used as a guide. Players must use their senses to find their way in the maze. Depending on the positions and complexity of the ropes the maze can be more or less physical for the players. 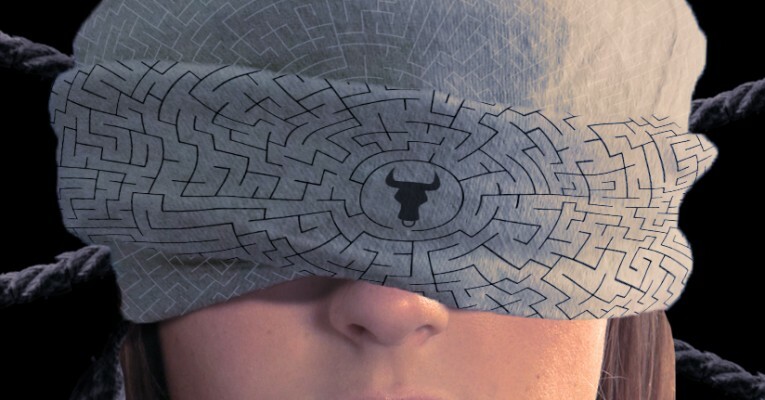 Maze of the Minotaur is a project by Joël Vegt and is commissioned by Playful Arts Festival.